Developing a welding procedure does not have to be complicated. But when we are dealing with demand critical welds or with hard-to-weld metals we need to be careful. Simply setting our welding machine to get an arc we like is not enough if we are dealing with materials for which we need to limit heat input, control distortion and control the cooling rate. We also need to know when we need to apply post weld heat treatment. So what is the best way to go about developing (writing) a welding procedure specification (WPS)? There are different approaches you can take. Which one you choose will depend on your level of expertise and your experience in developing procedures for the material you are welding. Here are five approaches that work. Pick the one that fits your needs the best. Copy, use or modify a previous welding procedure. Have you welded this same material in the past with good results? Do you have a record of that welding procedure? If so, use it. You may want perform some verification tests such as a macroetch or some bend tests, or you may go with full blown welding procedure qualification by testing according to a specific code. Either way, this is a great way to save time and money. If you have a procedure that works, use it. 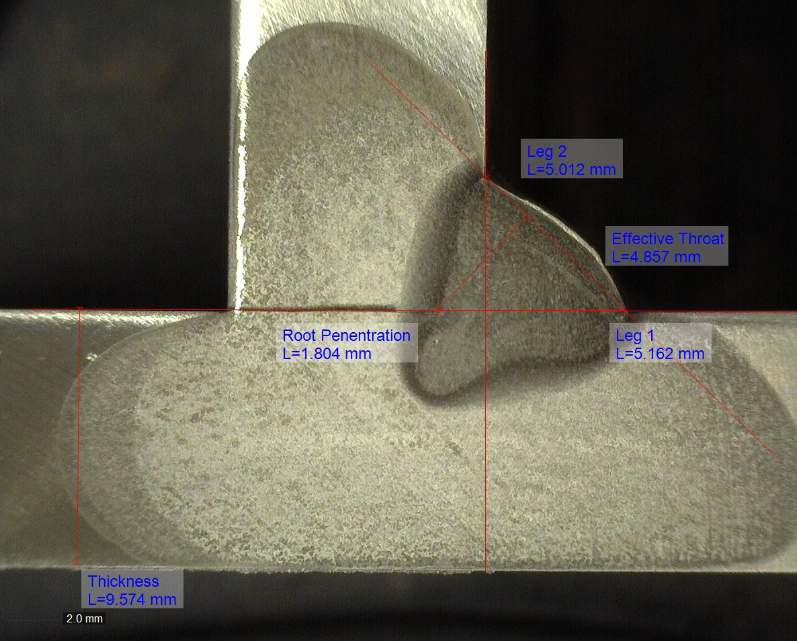 A simple macroetch can provide valuable information as to the reliability of a welding procedure. Follow the filler metal manufacturer’s recommendation. Manufacturers of filler metals publish typical operating procedures for their electrodes. This can get you started. Especially if you don’t have a lot of experience developing welding procedures or lack a sound understanding of the effect of welding variables. Operating procedures for ER70S-6 (Super Arc L-56) by Lincoln Electric. Above is an example of typical operating procedures for an ER70S-6 mig wire. This is for Super Arc L-56 (ER70S-6). If you are running .045” diameter and want to be in spray transfer you can chose the middle setting of 475ipm (335A) and 30 volts using 90/10 gas (90% argon, 10% carbon dioxide) with a contact tip to work distance (CTTWD) of ¾”. You need to be mindful of your welder’s skill and of your power source’s capability. 335 amps is a very aggressive procedure which your welder, your power source and your base material may not be able to handle. If so, you can step down per the manufacturer’s recommendation. If you are taking advantage of using Prequalified Welding Procedure Specifications (Prequalified WPSs) this will be one of the many requirements – to follow the manufacturers recommended operating procedures. 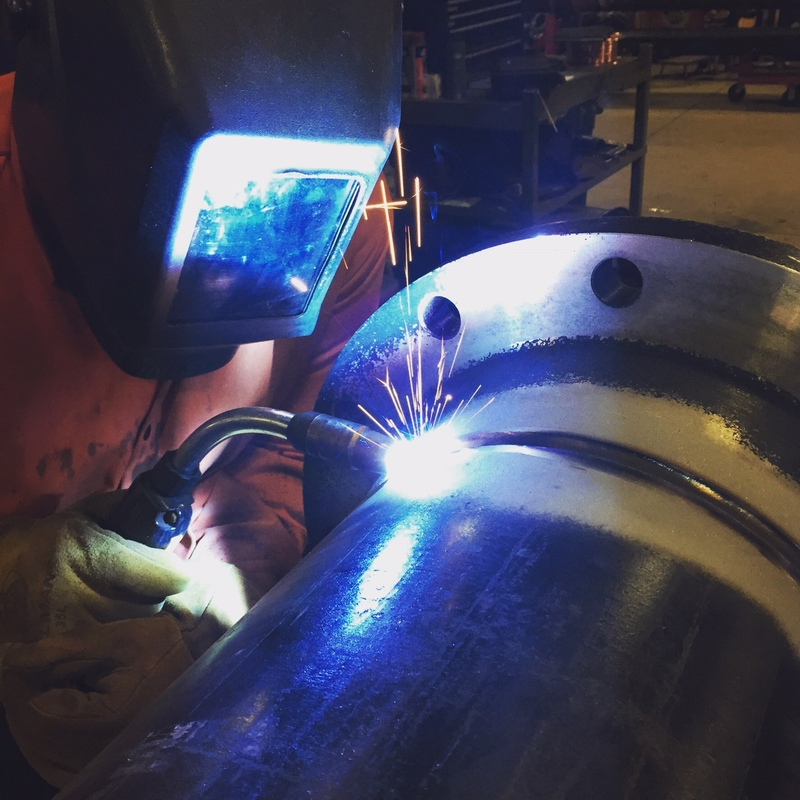 To learn more on whether prequalified welding procedures are the way to go for your specific situation take a look at a previous article on Benefits of Using Prequalified Welding Procedures. Or, better yet, read Dangers of Using Prequalified Welding Procedures. Ideally you never have to start from zero. But you may be welding materials that are not common, or maybe you have to account for variables that are not typical, such as excessive CTTWD due to reach issues. Maybe you are limited by your equipment and need to compensate for low amperage with different shielding gases or by preheating the part. If this is the route you must take it is imperative that you perform some kind of testing. It can be a simulated test where the weldment is placed into service to evaluate its performance. 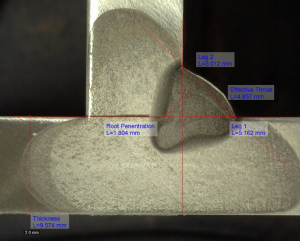 It can be destructive testing such as a macroetch or bend tests such as those required when performing procedure qualifications. Never use the outward appearance of the weld bead as your only gauge of quality, especially when you are working with limitations in terms of equipment or welder skill. 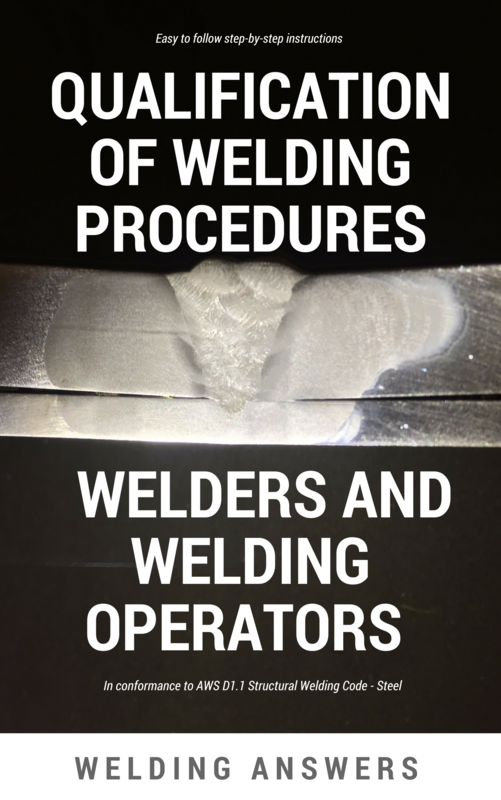 Operator skills must be considered when developing a welding procedure. 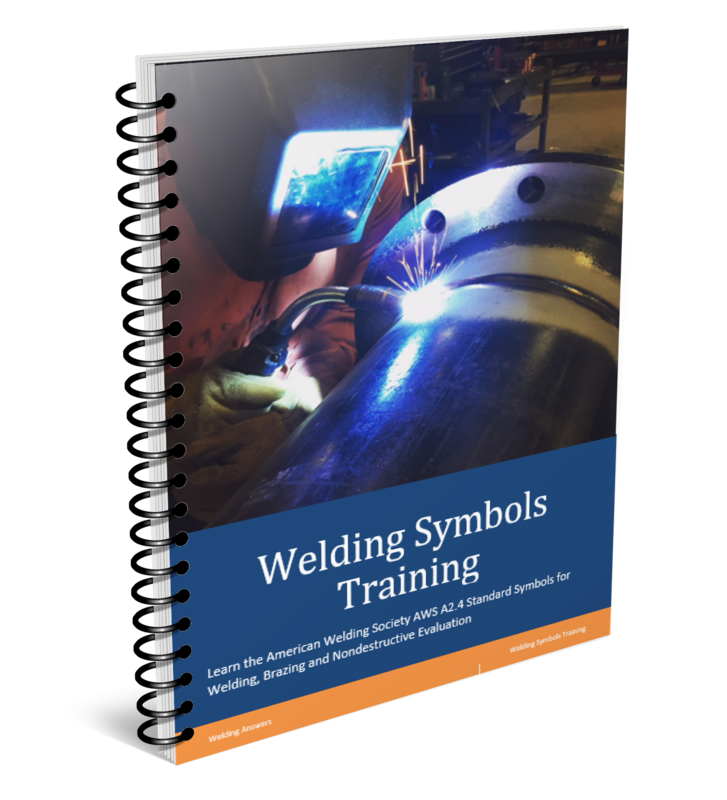 Ideally you would train the welder to use the procedure but this is not always feasible. The next two approaches to developing a WPS could be easier routes. However, be careful as they may cost you in terms of productivity if you simply try to conform to procedures that are not optimized for productivity. Use a Standard Welding Procedures Specification (SWPS) – SWPSs are welding procedures which can be purchased from the American Welding Society. 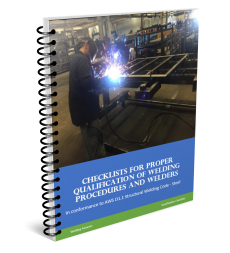 These are different from prequalified welding procedures in that they are backed up by many procedure qualification records (PQRs). For more on SWPS you can read What is a Standard Welding Procedure Specification. 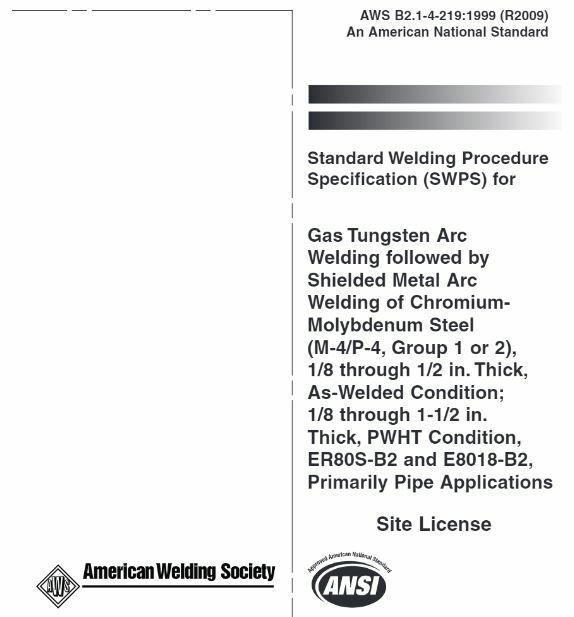 Standard Welding Procedure Specifications are available for purchase from the American Welding Society. These SWPSs are backed up by several PQRs. SWPSs should not be confused with Prequalified Welding Procedures Specifications. A prequalified welding procedure specification is only allowed by certain welding codes. And a prequalified WPS is not a published document you can buy, it still must be developed. If you buy a copy of AWS D1.1 Structural Welding Code (Steel) expecting to find prequalified welding procedures you are in for a big surprise. You’ll pay about $500 for this book and get zero welding procedures. However, it does instruct you on how to create your prequalified WPS. Not many take advantage of SWPSs simply because they don’t know what they are getting. The cost is roughly $225 for one SWPS from AWS. Although we cannot publish an AWS SWPS we can tell you everything that you’ll find in one. This is the topic of our post for next week so be looking out for it. Hire a welding consultant to develop the procedure for you. This is one where you need to be very careful. We have seen welding consultants recommend welding procedures that are either not adequate from a quality standpoint or which are very costly since they are not optimized for productivity. It is important to know the background of your welding consultant. We have worked with amazing consultants when it comes to following welding codes, but these consultants may never have welded. They may not understand that even though the filler metal manufacturer shows an operating range for an electrode that it may not run adequately at certain amperages within that range due to application issues (welding position, reach problems, joint configuration, material preparation, etc.). If you do work with a consultant don’t just have them develop the welding procedures for you. Make sure that he or she helps you in qualifying your welders to that procedure. This ensures that the welding procedure is adequate for your application and that your welders can handle it. Also, don’t be afraid to challenge the procedures. Can you increase the melt-off rates and increase productivity? Quality is the first step, but once you have a quality procedure in place you may want to look at increasing productivity. Are you in charge or involved in developing welding procedures for your company? What are your challenges when it comes to performing this task? I am a design engineer with a small manufacturing firm. We use a lot of A36 in most of our weldments. I am working on a project where we need to add some extra strength so we are using A572. Could you make some suggestions or point me in the direction of some good reference on welding A572. I am figuring on a preheat and then stress relief in the end. Using 2″ plate. ASTM A572 welds almost identical to A36. If you are welding A36 at 2-inches thick this would be considered a Group II material per AWS D1.1. If you go to A572 it would still be a Group II material if you are using grades 42, 50 or 55. It would be a Group III if it is grade 60 or 65. The main differences between group II and III are the matching filler metal and preheat temperature. For 2-inch thick preheat to 150F for Group II (grades 42, 50, 55) and 225F for Group III (grades 60, 65).